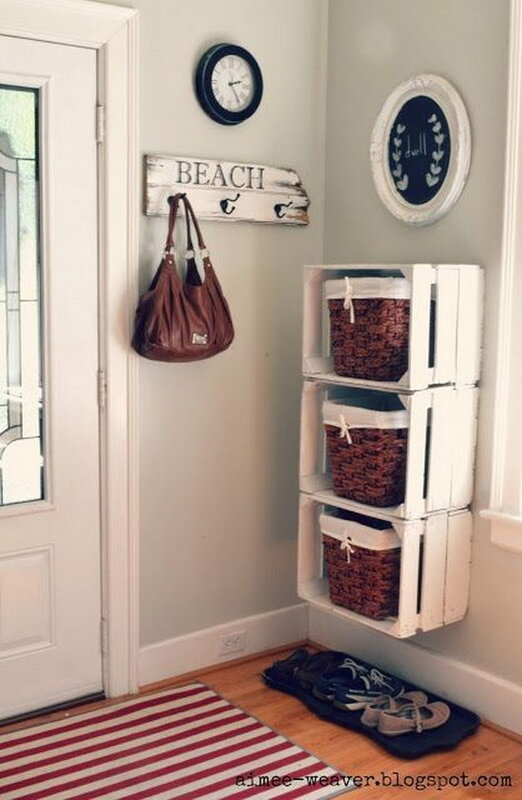 Wood crates can be found in many home. They are perfect for making of all kinds of furniture. 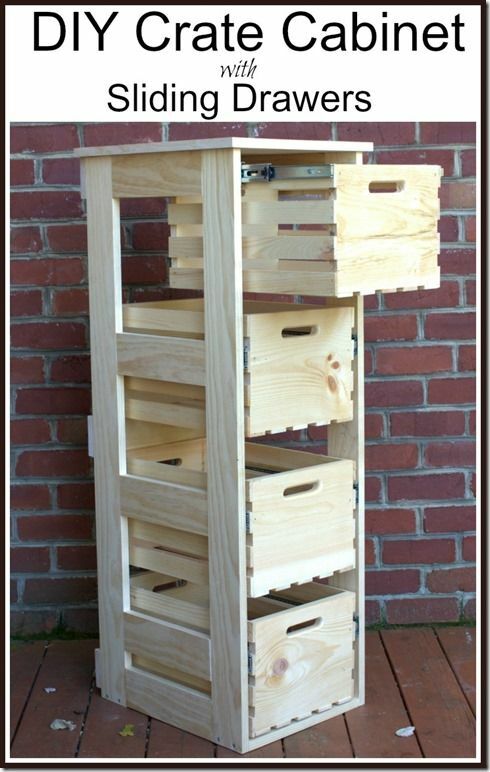 Take a look at these DIY wood crate projects, which are so versatile, functional and decorative for your house and yard. 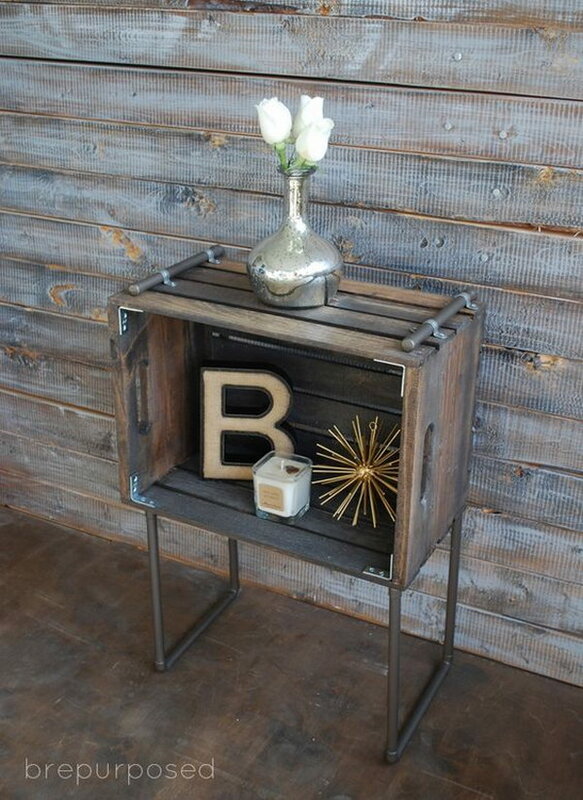 From stylish storage ottoman or crate shelving system to wine crates shoe racks on the wall or crate nightstand, there are so many things you can make out of crates. 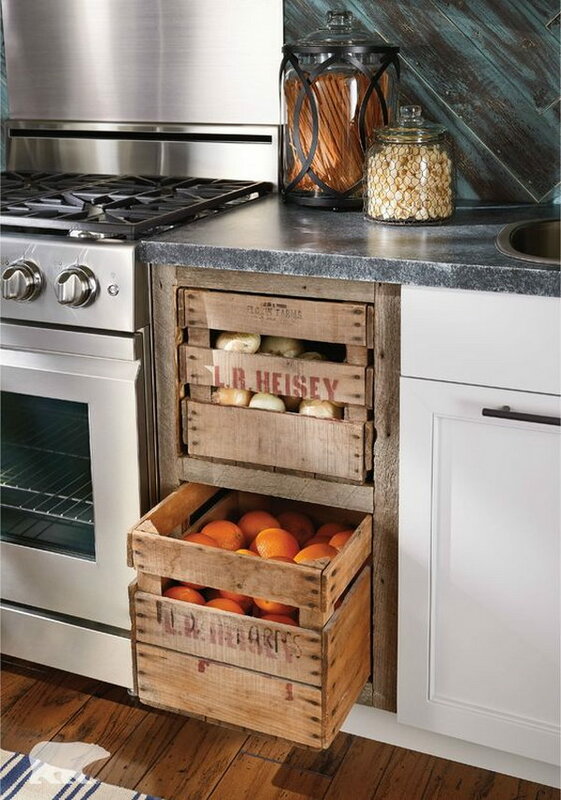 Add rustic and vintage look to your kitchen using recycled crates as drawers. They are perfect place for storing your fruits and bread in. Via behr. 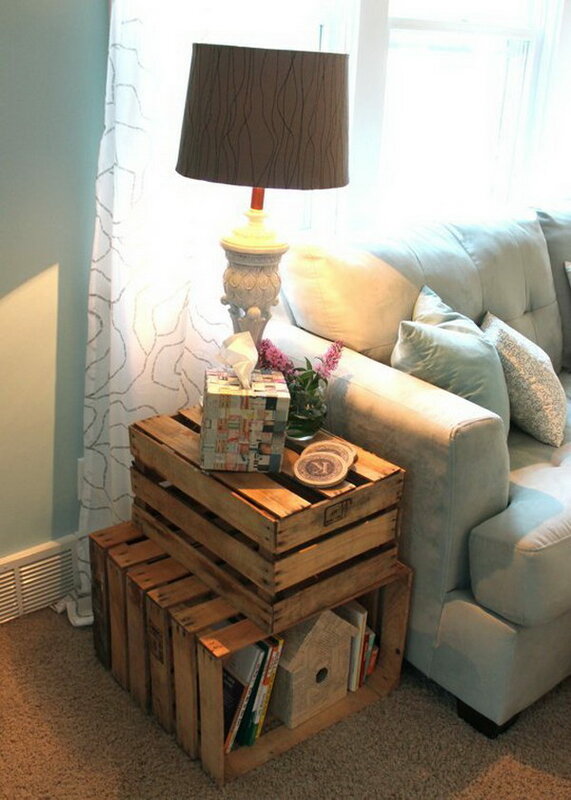 This crate coffee table is beautiful and just looks stylish and chic. It’s great for storage and makes an excellent addition to your living area. Get the tutorial via hertoolbelt. 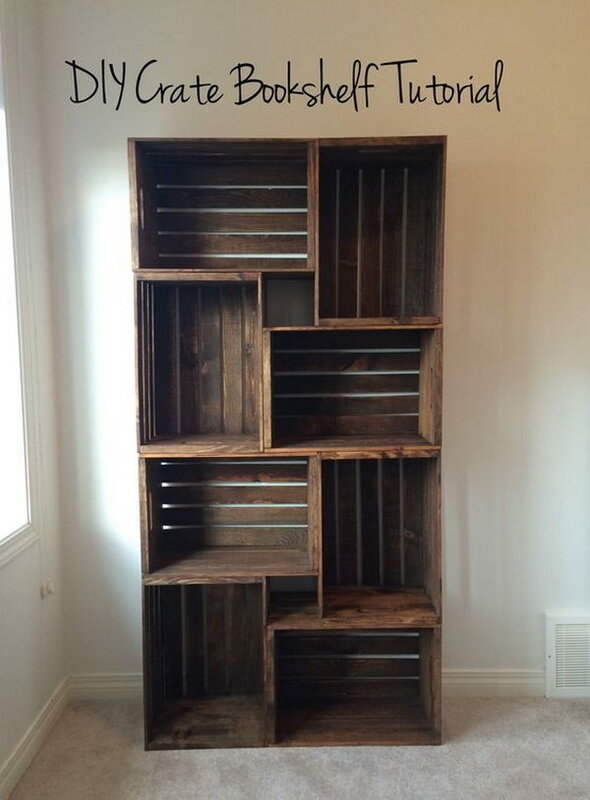 Decorative wooden crates forming a cabinet! I just love the vibe! Via interiorsoriginals. 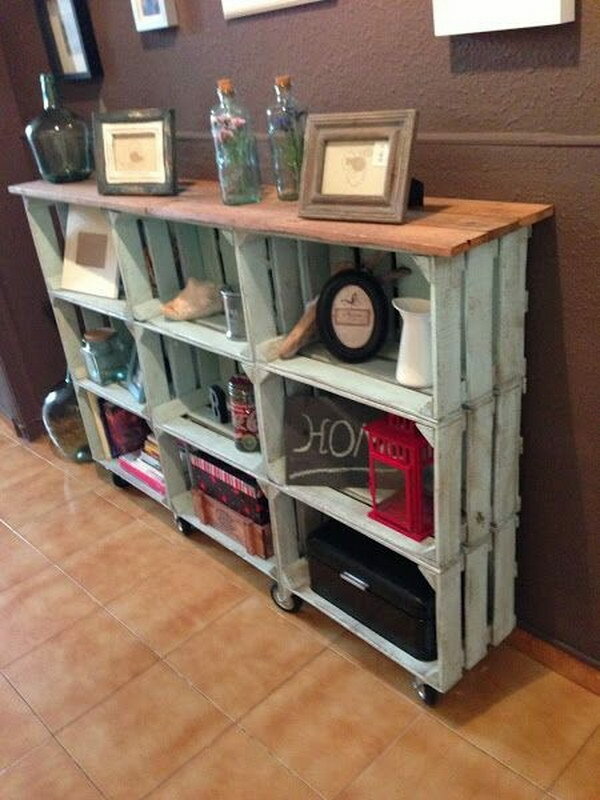 This DIY vintage crate console table creates storage and display space in a hallway or in the family room. Get the tutorial via decorandoyrenovando. This little thing looks great and makes handy storage for your living room. See the tutorial via homedepot. 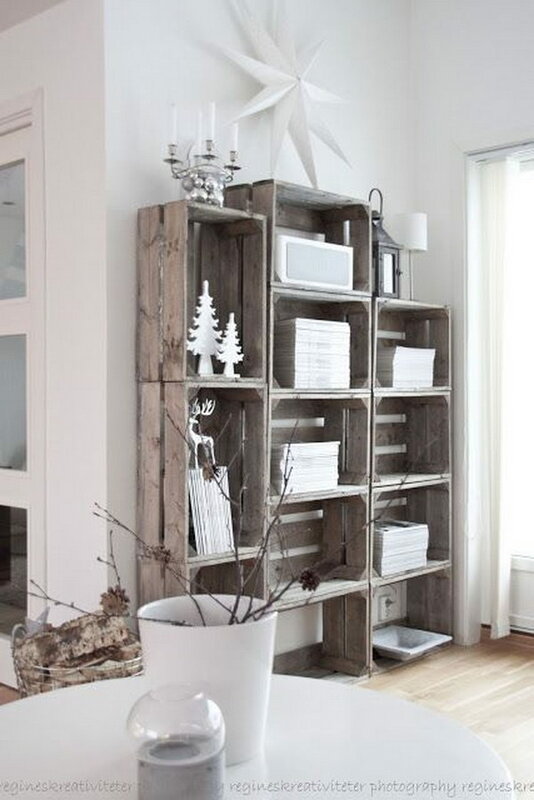 Unfinished wooden crates can easily be made into a charming rustic bookshelf. Check out the detailed tutorial on how to make your own via taramichelleinteriors. Get the tutorial via simplyrealstyle. 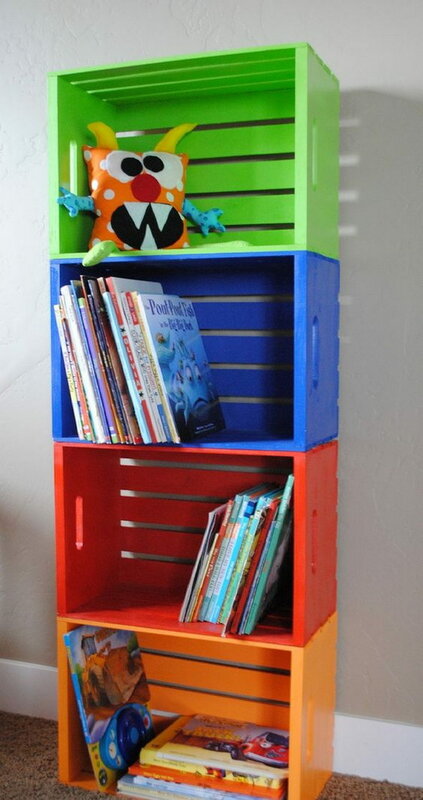 Make a fun colorful bookshelf from crates that easily brighten and organize your kids’ room. Get the tutorial via crazylittleprojects. 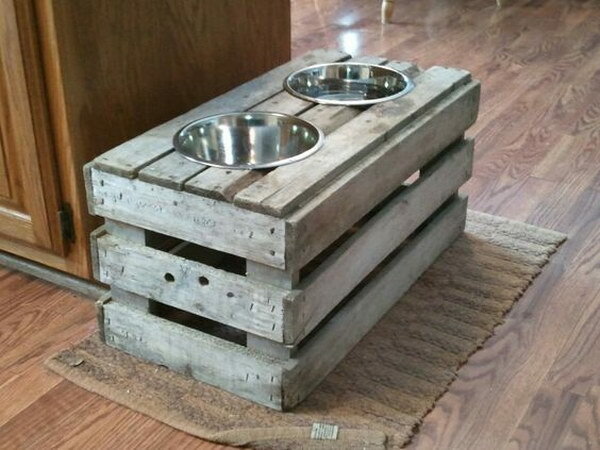 This Crate Coffee Table project was cheap, fun, and easy to make. And you will love the beautiful wood and ample storage space. Get the tutorial via diy-vintage-chic. 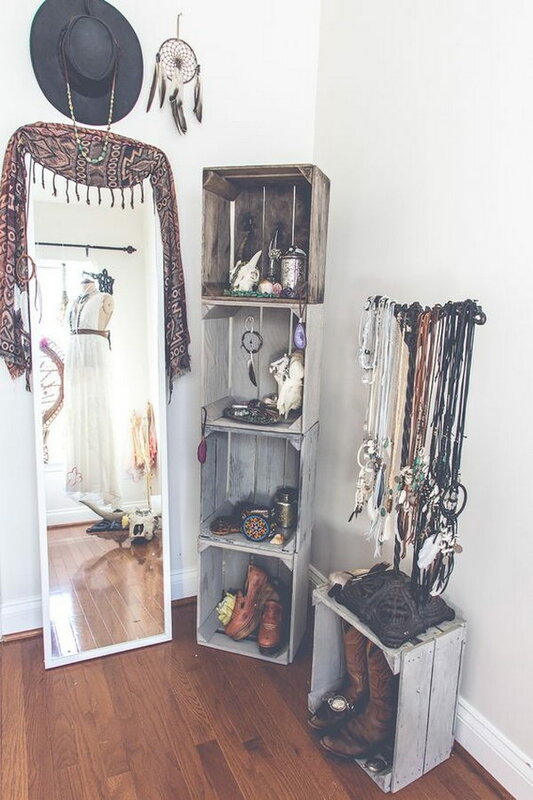 Turn a few plain wooden crates into fun and unique Boho Chic shleves! Via soulmakes. Paint crates and hang on the wall – a colour for each family member. 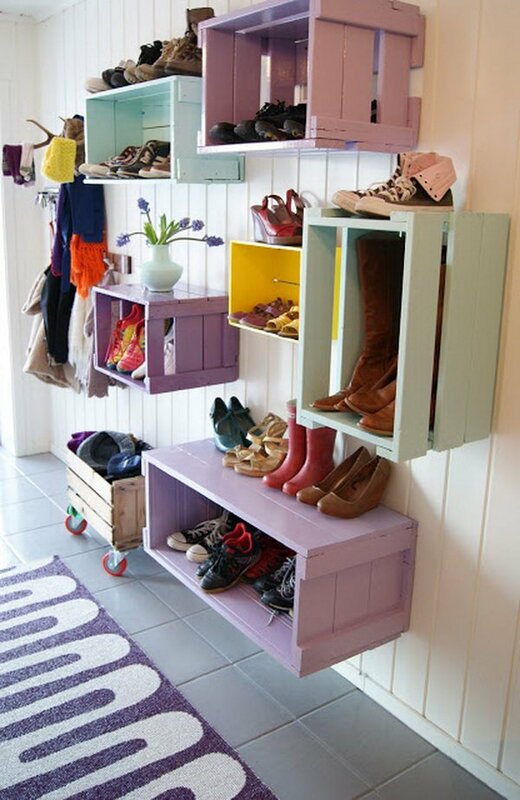 These shoe racks are so amazing and functional. Via theverden. 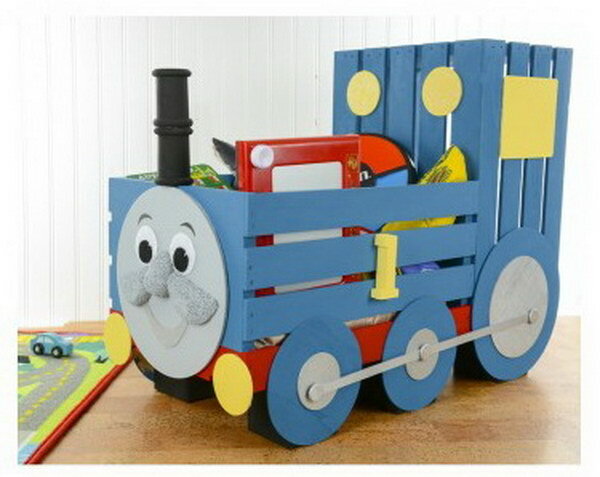 See how this cute Thomas the Train Storage Crate all started with two plain wooden crates. Get the tutorial via acmoore. 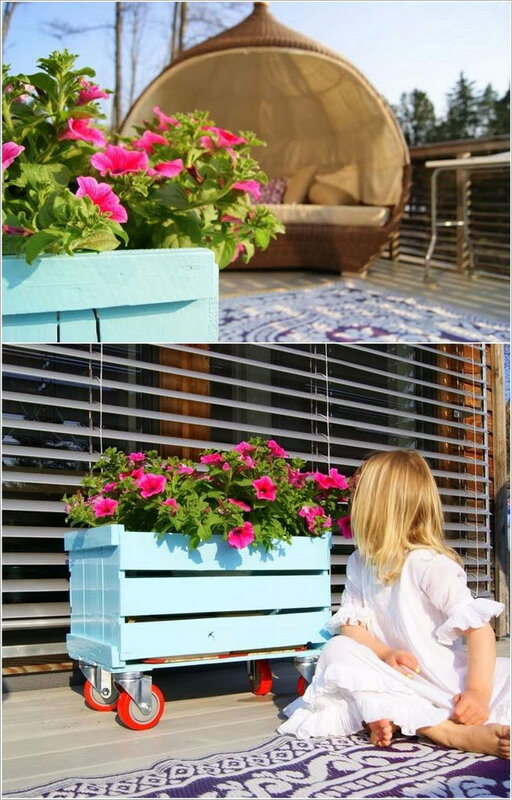 Make a DIY planter from a wooden crate. See more details via theverden. What a fun garden idea! 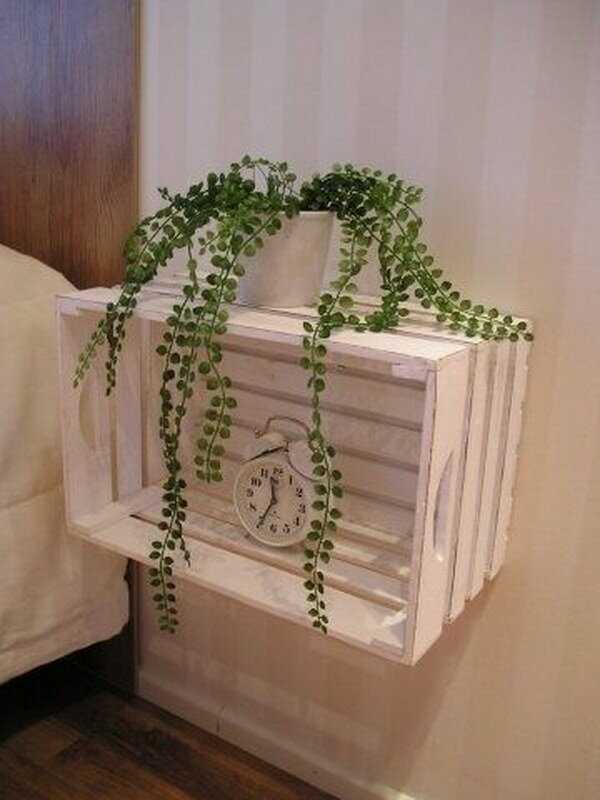 This train planter is easy to make and is just made out of old crates! Check out the tutorial on how to make this via forobricolaje. This creative crates shelving system not only provides perfect storage solution but also makes big impact in your home. See more via lifemadelovely-blog. This is so simple but pretty. Get the step by step tutorial via myanythingandeverything. 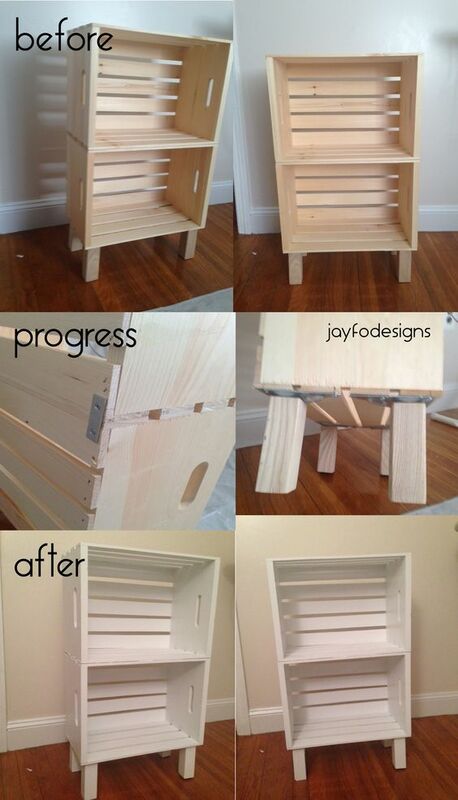 This DIY storage ottoman is a convenient place to rest your feet or seat an extra guest. It also comes in handy to store sofa throws. Get the tutorial via monmakesthings. 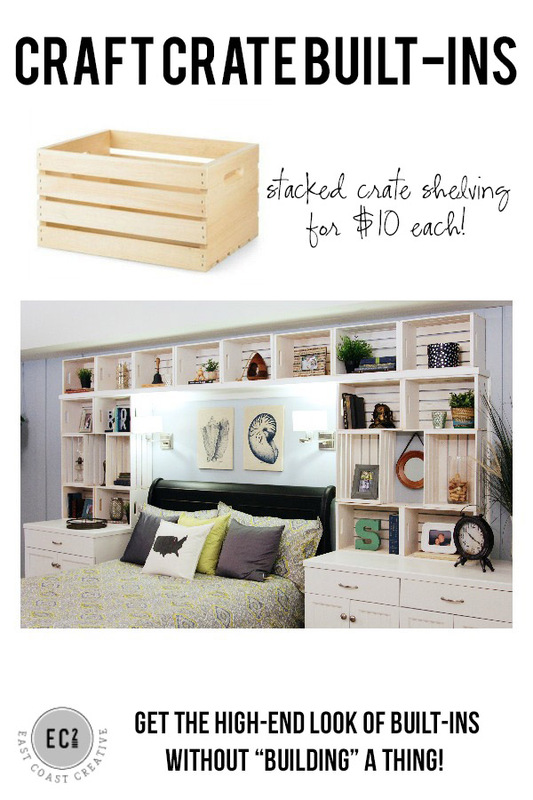 Stacked crates on top of dressers creates a gorgeous storage solution that looks built-in. Check out the full tutorial on how to make this via eastcoastcreativeblog. 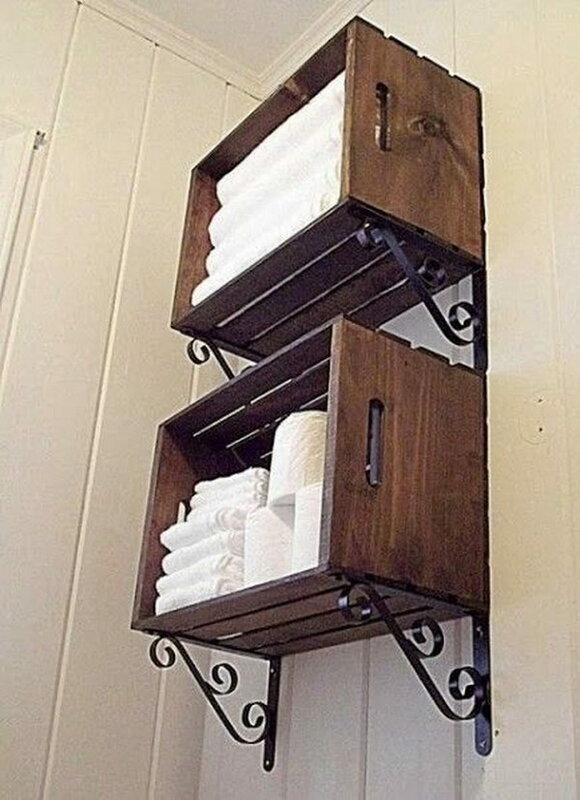 Check out the step by step tutorial on how to make this rustic bathroom storage via morningbymorningproductions. Hung within kids’ reach, these white painted wooden crates ensure that little ones can readily access and return the books. Get the tutorial via iheartorganizing. Cool pipes team with crate to create industrial charm! Check out the step by step tutorial via brepurposed. 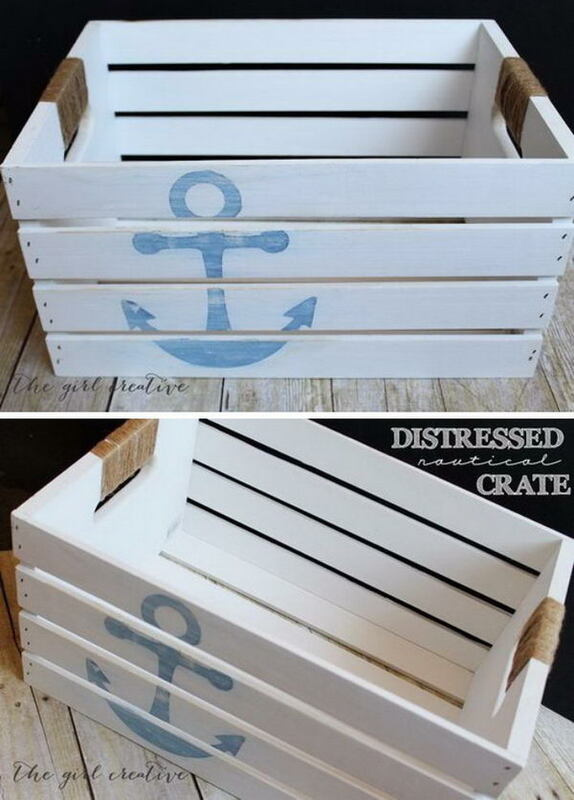 Make this cute nautical crate with a few supplies and little bit of time! Get the tutorial via thegirlcreative. 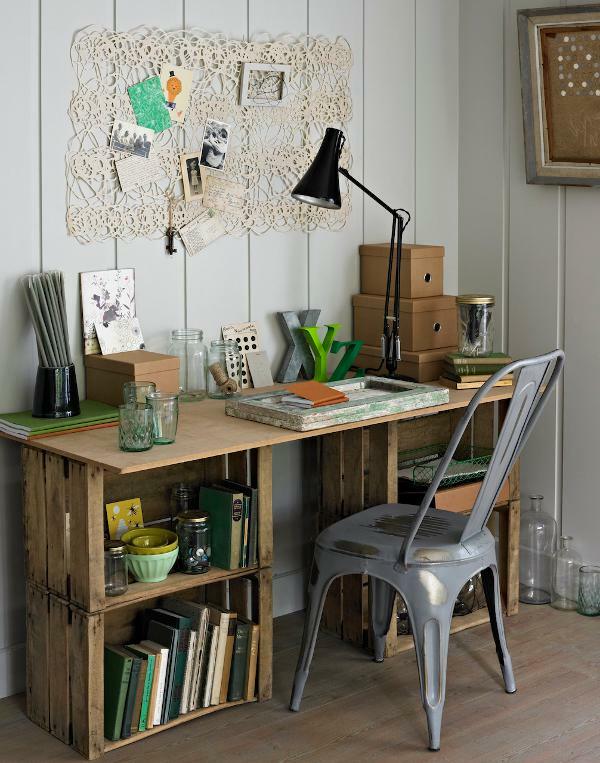 Stacked wooden crates can be put to great use as the base of a desk. You just need to stack and secure a few crates to your desired height, place your writing surface atop and you have a perfect desk. Via desiretoinspire. If your are on the looking for a simple but unique way to stretch your design budget and store bedside essentials. 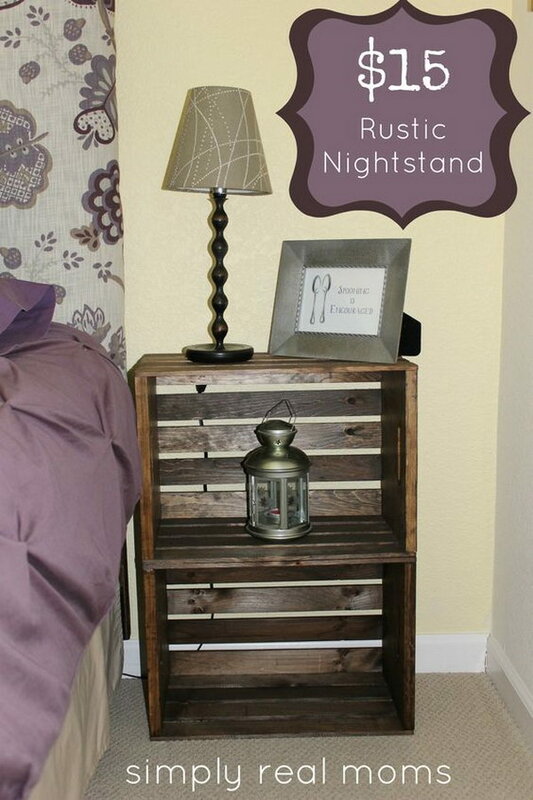 You can create this simple reclaimed crate nightstand for your bedroom. Via waadiy. With the beautiful wood and ample storage space, this crate side table is that winning combination of gorgeous and functional. Via apartmenttherapy. Your boy’s cars get their own port in this easy storage solution made with a wooden crate and mailing tubes. Get the tutorial via frugalfun4boys.